The military-industrial complex of the United States began to take shape before WWI, but became an unprecedented force around WWII, both before and after the war itself. The architectural footprint of US global political and economic power in this period is generally associated with signature embassies, Hilton hotels, and large steel and glass corporate skyscrapers, all increasingly optimized by new building technology. 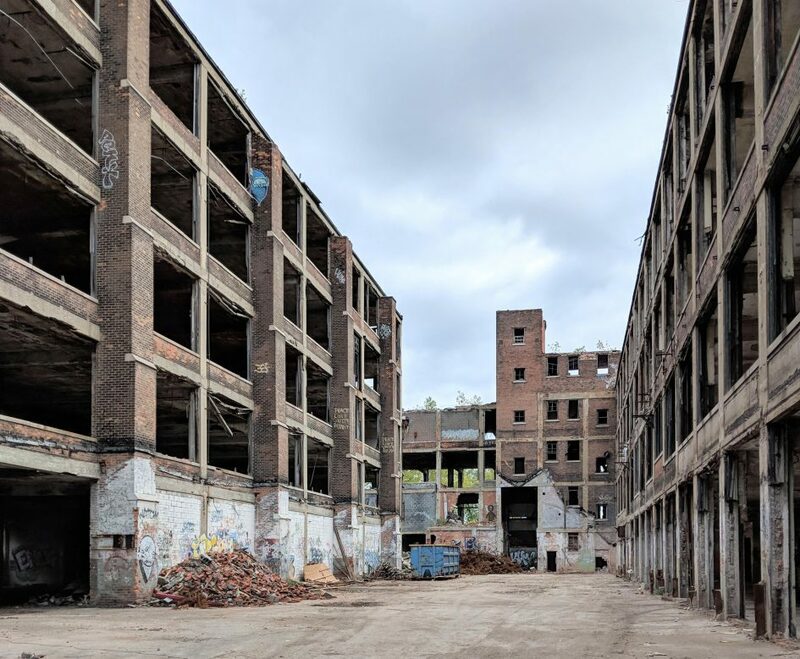 Yet the buildings that enabled the growth of US political power were largely industrial buildings, constructed under regimes of intense competition and rapid change throughout the first half of the twentieth century. Complementing the aesthetic program of postwar architecture was a campaign of prewar industrial expansion that took place largely out of sight, and was further occluded after 1945. The invisibility of US industrial power throughout the postwar period was prefigured by a retreat from the city much earlier—first to exurban sites nonetheless within reach of an urban workforce, then within the city itself. Hidden from view behind earthen berms that came to replace the streetfront face of the urban factory, site of strikes and protest, and part of the public domain, the spatial footprint of military power disappeared. This talk traces seven episodes in the development of the US military-industrial complex, through the work of Albert Kahn Associates, culminating in the firm’s astonishing wartime output. It advances some general claims about the project of US politics through technology, and the failure of architects and critics to attend to the behemoth growing around them, a case of tacit yet heedless oblivion. Claire Zimmerman is the author of Photographic Architecture in the Twentieth Century (Minnesota, 2014), and co-editor of Neo-avant-garde and Postmodern: Postwar Architecture in Britain and Beyond (2010, with Mark Crinson). She co-edited Grey Room 71 (Spring 2018), subtitled “The Cost of Architecture,” and recently published an article in the final volume of AA Files (#75). Current projects include a book manuscript on the impact of US industrialization through the Kahns of Detroit. She is an associate professor in History of Art and Director of Doctoral Studies in the Architecture Program at the Taubman College of Architecture and Urban Planning, both at the University of Michigan.